There are not a thousand words invented to describe the true awfulness of this building. To my loyal readers, I know I have occasionally ranked on pole building poor workmanship done by builders, however this one may very well rate close to the top of the “bad list”. I will share with you only this one single photo to give you merely a small sampling of how bad, bad can be. This is the corner of the building. To the left of the corner is an endwall. According to the engineered building plans and the Hansen Pole Buildings Construction Manual, at the bottom of each of the endwall wainscot and endwall steel panels there should be a screw of each side of the high ribs. Doesn’t appear to have happened as planned. How could this be a problem? 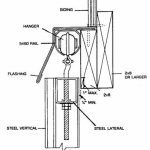 In the event of a severe wind event, there could be shear forces upon the endwall steel which are greater than the ability of the single screw to carry – worst case event, building falls down, goes boom. And it isn’t covered under warranty as the building was not constructed per the engineered plans. In the picture are shown the base trim at the bottom of the wall steel. Done correctly, it should neatly wrap around the corner, nope – not on this corner. Which is probably a good thing (maybe) because the bottom of the steel on the two adjoining walls is not at the same height! When the corner trim is eventually installed, another problem is going to crop up – the wainscot trim has not been properly held back to allow for the corners to be installed. The concrete around the top of the corner column. 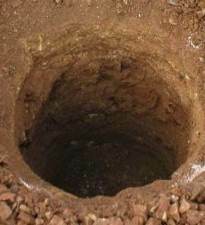 It is supposed to be at the bottom of the hole. 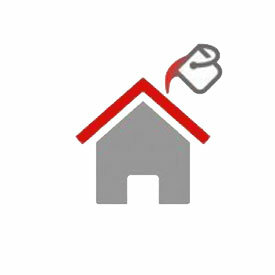 Properly located it will keep the building from settling, overturning and uplifting. This is pole building poor workmanship. As it is installed, if there ever happens to be a frost issue, what is known officially as a “top collar” gives added surface for frost heave. As my 23-year-old daughter Allison would say, “Face-wall, when face-palm just isn’t enough”. 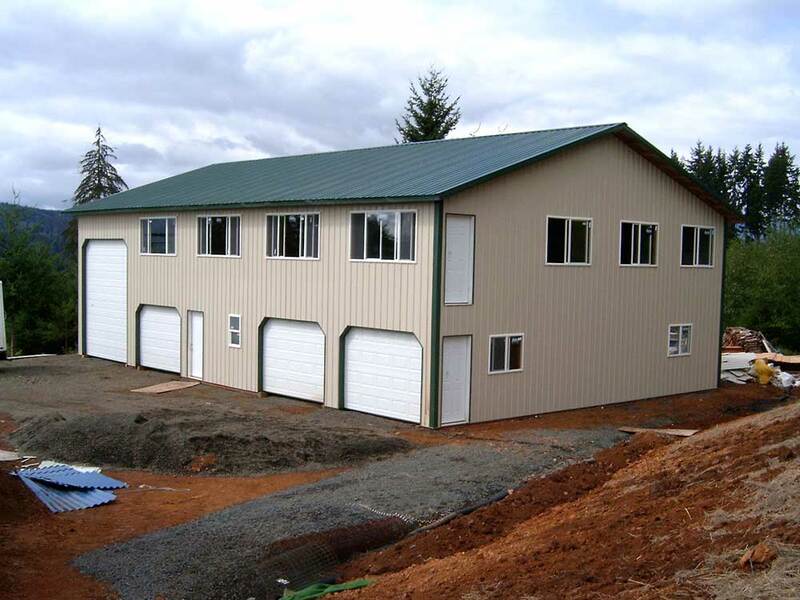 This entry was posted in Constructing a Pole Building, Building Contractor, Pole Building Siding, Footings and tagged frost heave, pole barn wainscot, endwall steel panels, shear forces, pole building settling, pole barn overturning on December 21, 2016 by admin. DEAR LOOKING: Switching from sliding doors to an overhead door is going to pose a massive challenge to do correctly. This, in itself, is reason enough to spend the generally few dollars up front to use a sectional steel overhead door. To begin with, the openings are not framed to the same size. 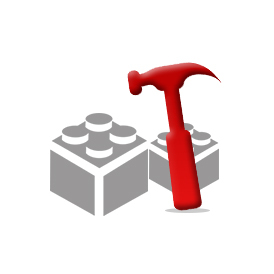 It is easier to frame smaller than have to try to hack out and replace one or more columns. This will probably entail framing down to a finished hole 13’10” in width and 10’11” in height (measured from the top of the concrete floor) and installing a 14’ x 11’ residential overhead door. In order to get things looking right from the outside. All of the steel on this wall should be replaced, to give uniform color and no splices. 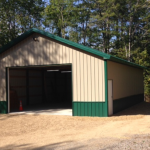 We can certainly provide a wall’s worth of steel siding, color matched powder coated screws, the appropriate steel trims, the overhead door and hardware to hang it. 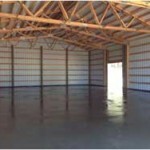 We are not contractors in any state, so we do not and cannot provide any labor to install. You may want to look at what the real problem is – sounds like you have frost heaving, which is pushing the ground, or concrete, up at the location of the door. Just switching doors is not going to take away the problem. If heave is the root cause of the problem, then remedial action can be taken by installing a French drain along the side of the building in front of the door. The sliding doors can also be taken off, and their overall height shortened enough to keep them from binding when the heave occurs. DEAR CURIOUS: From the ground, a roof purlin looks pretty simple – it is usually a piece of 2x material, fastened on top of or attached to the side of rafters or roof trusses. 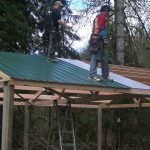 Roof sheathing (typically OSB – oriented strand board, plywood, or steel roofing) is then attached to the top of the purlins. Purlins are not simple at all. They must carry all applied dead loads, live loads from snow as well as wind loads. They need to be checked for the ability to withstand bending forces (both compressive and from uplift), to not have too much deflection and be adequately attached at each end. In snow country, purlins near the roof peak need to be checked for the added drift loads which are applied. I could spend several thousand words and numerous pages to teach you how to be able to properly calculate the purlins for your individual case, however it is far more information than the average person wants to, or is able to, absorb. The best recommendation – hire a registered design professional (RDP – architect or engineer) who has the ability to run the calculations to adequate design your purlins based upon the climactic (wind and snow) loads being imposed upon them at your building site. 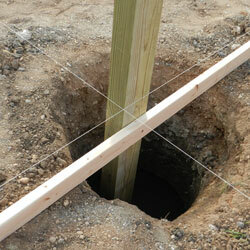 Or better yet, order a complete pole building kit package which has been designed by an RDP. This entry was posted in Uncategorized, Pole Barn Questions and tagged frost heave, wind load, RDP, snow load, overhead door, purlin spacing on May 5, 2014 by admin. 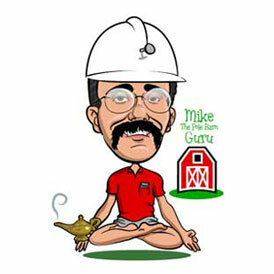 Dear Pole Barn Guru: Will a Drain System Hurt My Piers? 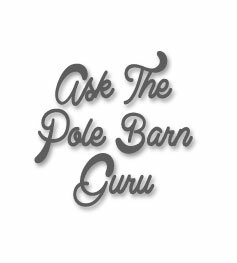 Welcome to: Ask the Pole Barn Guru – where you can ask questions about building topics, with answers posted on Mondays. With many questions to answer, please be patient to watch for yours to come up on a future Monday segment. 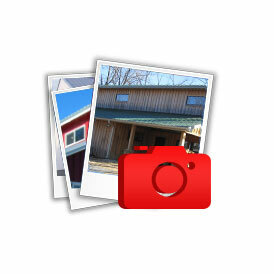 I have a 40′ L X 30′ W metal pole barn, which has a 10′ overhang. Basically the foot print is 40 X 40. The roof has a 6/12 pitch that is connected to the overhang roof, which transitions to about a 3/12 pitch. I live near Buffalo, New York and have a problem with gutters on the overhang. Every year the snow wants to pull down the gutters. I don’t really like the idea of putting up snow jacks because it’s just more holes that I’m putting in the roof and I feel like I would be compromising the integrity of the roof over time. I have read about the use of French drains and though I would just eliminate the gutter on that side and install a French drain. I’m wondering if I “opened up a can of worms” and would be causing more problems than it’s worth. 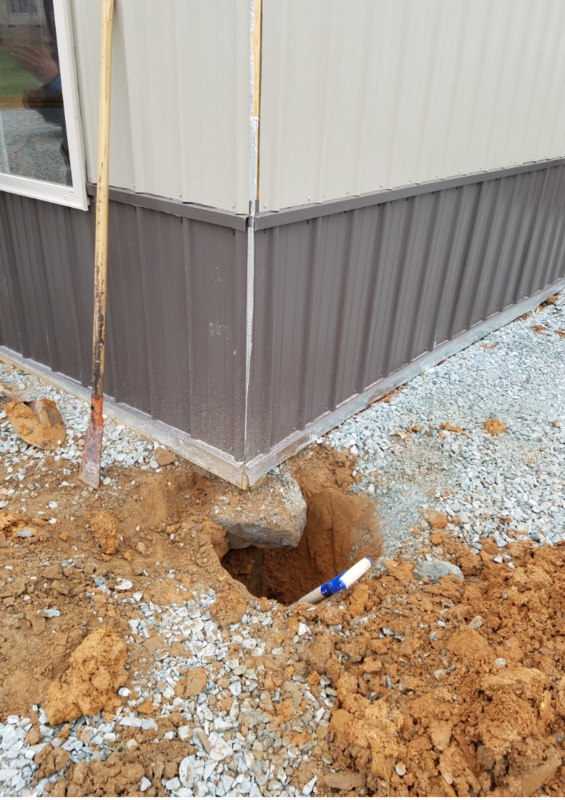 I dug a trench about 18″ wide and 24″ deep along the side of the pole barn. My plan is to place #2 clean washed stone with perforated SDR35 pipe in the trench leading out to ground level on the slope behind the barn. The drain pipe will be wrapped with a filter sock and the stone surrounding the pipe will be wrapped with designed trench filter paper. 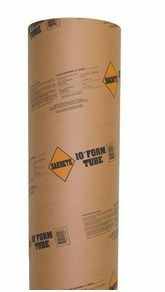 This should prevent silt from entering both the stone and also the pipe. DEAR DAN: Without having a geotechnical engineer personally visit and inspect your building site, I can only give generalized answers, so here goes…. 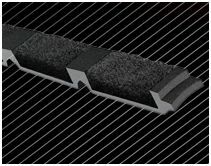 Will you compromise your piers with this drain system – it is possible. The extra water being added into the ground system could cause not only frost heave issues, but could also contribute to settling of the columns. Besides potential frost heave and settling issues – the drain system is not probably overly economical in either time or cash outlay. Provided your roof system was properly designed for the added weight, there are several polycarbonate snow retention systems for roofs which will not cause you to have to put any more holes in your roof. A special adhesive is used to glue the snow guards to the steel roof surface. Once installed, snow should adequately stay on your roof, keeping the gutters where they belong, instead of on the ground next to your building. DEAR POLE BARN GURU: Can fink truss 6″ pitch and 24 ft span be on 2 ft centers. Inquiring in Arkansas. DEAR INQUIRING: In background – a “fink” style truss is one in which the interior truss members (or webs) are in the shape of a “W”. In some cases, it is referenced by the number of “panels” (spaces between the truss webs) from one side of the truss to the other. In the case of a fink truss, the top chord would have four divisions, the bottom chord three. A 6” pitch is one where the sloped top chord of the truss, gains six inches vertically, for every 12 inches of horizontal movement. As to whether your span, slope and spacing combination will work or not, would depend upon the design loads which the truss is expected to carry. These loads include sloped roof snow load, dead loads from roofing, sheathing, insulation, ceiling materials, etc., as well as wind loads. To be safest, take your complete building plans to the prefabricated wood roof truss manufacturer of your choice and they should be able to use this information to design and quote the project. 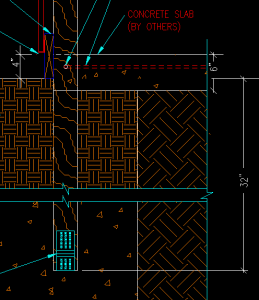 This entry was posted in Pole Barn Questions, Footings and tagged frost heave, gutters, fink truss, French drain on June 24, 2013 by admin.